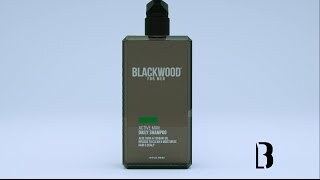 Home \ Accessories \ Active Man Daily Shampoo 15.15 fl.oz. Deep cleansing to remove oil and buildup after a hard day's work or play. Aloe Vera, Licorice Root & Rehmannia Chinensis help revive and restore hair. It's dirty work being an active man. How can you expel the daily gunk, without stripping your hair and scalp? Here's how. Active Man Daily Shampoo hydrates while it cleanses. It also has botanicals like Panax Ginseng Root, Swertia Japonica, and Clove Flower to help strengthen hair and fight damage and loss. And it does it all without dangerous parabens, in a formula that is cruelty-free. Step up your shower game and do something great for your hair. It would thank you, if it could talk. Pair with Active Man Daily Conditioner for maximum effect. For daily use. Apply shampoo to wet hair, massage onto scalp then rinse. For best results, follow with Active Man Daily Conditioner. Active Man Daily Conditioner 15.46 fl.oz.